The park sites and funding schedule outlined in the initial project announcement will continue. 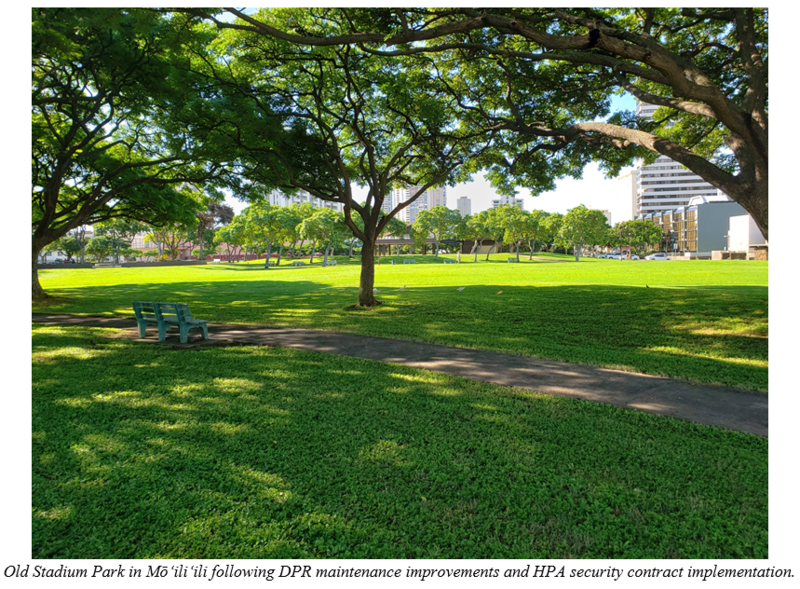 The pilot project for a contracted security presence at the select parks, using guards at Hawai‘i Protective Association (HPA), was implemented last November. An additional announcement was made concerning the success and one-month extension of the initiative.